Bhakti yoga has been by far the most common form of yoga practiced in India for more than two millennia. Although The Yoga Sutras of Patarijali has become the canonical text for yoga philosophy and practice in the West, few in India either presently or historically have actually read or even know about it. 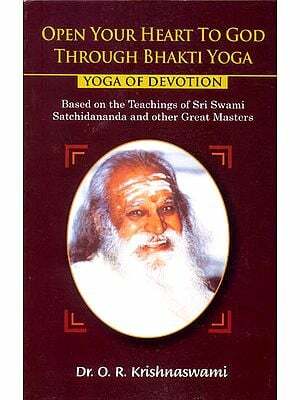 Most Hindus across the centuries have gained their yoga philosophy from the stories of great yogi exemplars found in the bhakti literature of the subcontinent. In simplest terms, bhakti is the heart-felt practice of love and devotion to God. In Western yoga circles, the term is often associated with the increasingly popular practice of kirtana, or chanting in a group or at large gatherings. But bhakti yoga is far more complex and ancient, and embraces many strands and practices. Edwin F. Bryant focuses on one important school of bhakti as a way into understanding this practice in general. He explores a Krsna tradition in depth to show what bhakti is and how it is expressed. 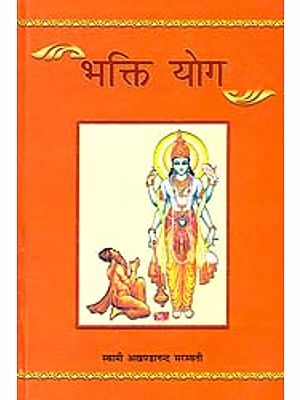 He supplies his own trans-lations of central texts from that tradition in the form of tales and teachings drawn from arguably the most influential text on Bhakti, called the Bhagavata Purana, or the Beautiful Legend of God: And he com-pares and, contrasts them with the bhakti practices outlined in The Yoga Sutras of Patanjali. Edwin F. Bryant received his Ph.D. in Indology from Columbia University. He has taught at Columbia University and Harvard University and since 2001 has been a professor of Hindu religion and philosophy at Rutgers University. 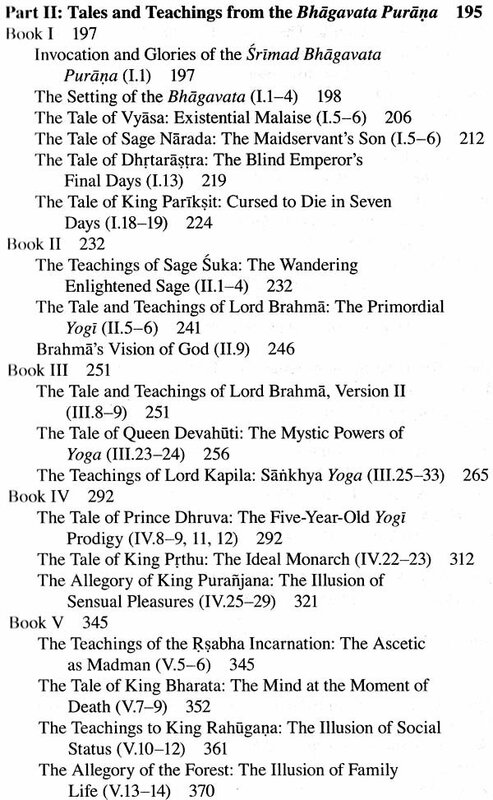 Bryant has written numerous scholarly articles and published seven previous books, including The Yoga Sutras of Patanjali A New Edition, Translation, and Commentary'ommentary and Krishna: The Beautiful Legend of God, a translation of the four thousand verses of the tenth book of the Bhagavata Purana. In addition to his work in the academy, Bryant teaches workshops on the Yoga Sutras and other Hindu texts in yoga communities around the world. 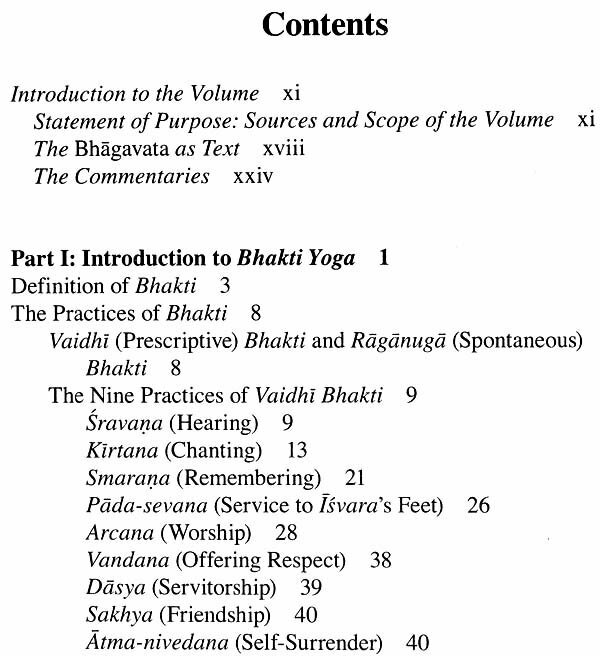 Statement of Purpose: Sources and Scope of the Volume There are as many variegated expressions of bhakti yoga in India as there are sects, languages, communities, lineages, castes, regions, villages, and, indeed, human hearts wherein it ultimately resides. 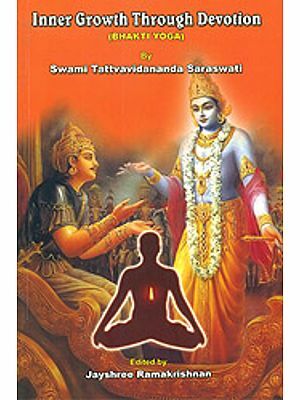 This book is, focused on one expression of bhakti: Vaisnava bhakti cantered on Sri Kona as emerges in a sixteenth-century tradition. 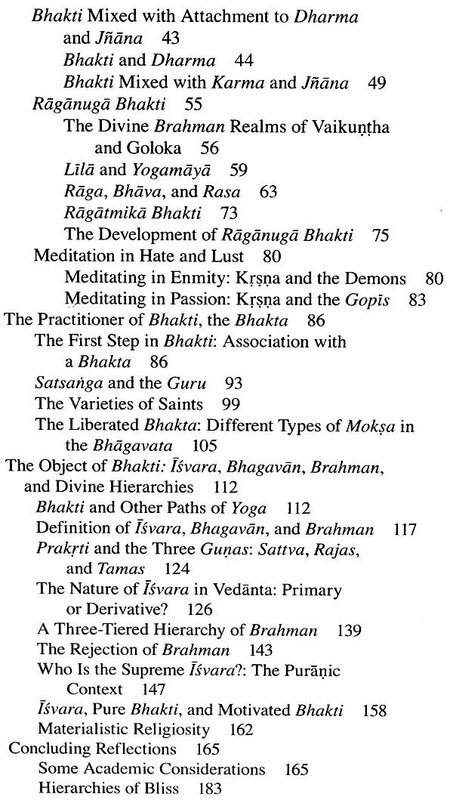 In this section, we discuss our vision and method for the volume and provide some rationale and contextual background for the texts on bhakti that we have chosen to feature. Our discussion in this introductory section may be mildly academic, but we have made every effort in the remainder of the volume to avoid scholarly language and specialized jargon in preference for straightforward prose and concepts accessible for the educated but no specialized reader. In this work, we attempt to navigate that unattainable line between producing something that is academically respectable, accessible to the interested no specialist, and useful to the intellectually responsible yoga practitioner. Since this is an impossible feat, I can only beg the indulgence both of scholars, who may find some of the discussion overly simplistic, and of lay readers, whether personally involved with yoga practices or not, who may find it too academic in places. 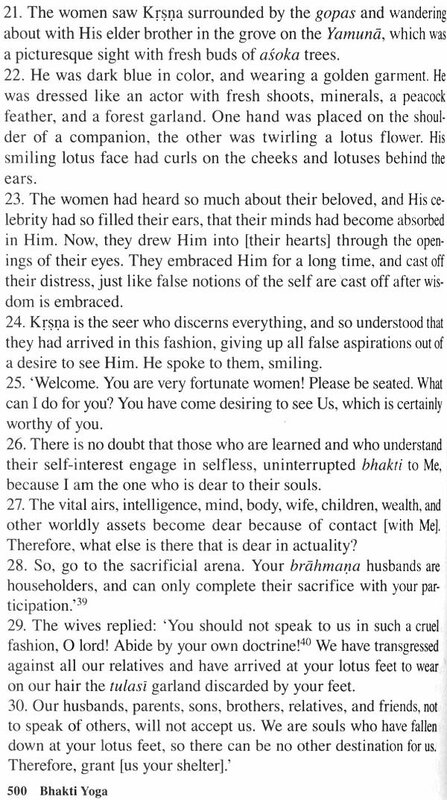 In any event, anyone not interested in this section's technicalities might prefer to proceed to the next section, "Definition of Bhakti," where we begin our actual discussion on bhakti proper. 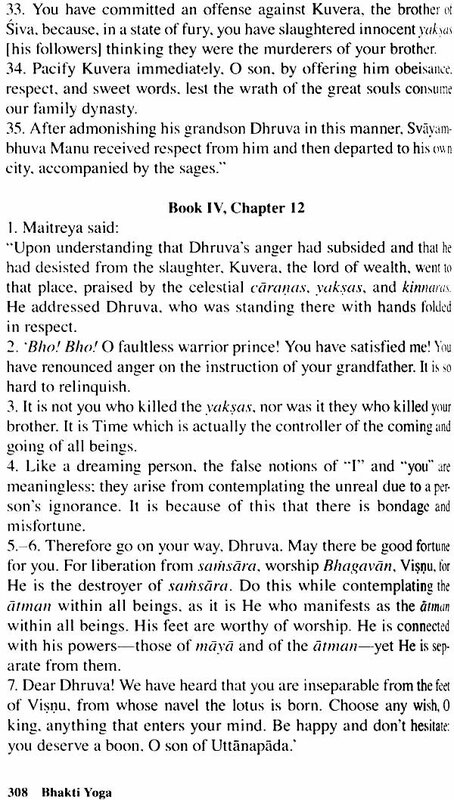 Specifically, the tales and teachings in part 2 of this volume are translations from the Srimad Bhagavata Purana, the Beautiful Leg-end of Bhagavad [God] (henceforth Bhagavata), as are the stories of Krsna in part 3. After much deliberation, we have chosen the translation "legend" here for the Sanskrit term pureina,1 with the intention of denoting traditional lore, which presents itself as factual history, is purported to be true by its followers, and has been handed down and believed as such by its adherents across the centuries.2 The Bhagavata is, as we will suggest later, arguably one of the most important texts on bhakti yoga, along with the Ramayana, in that cluster of traditions that has come to be known as "Hinduism. 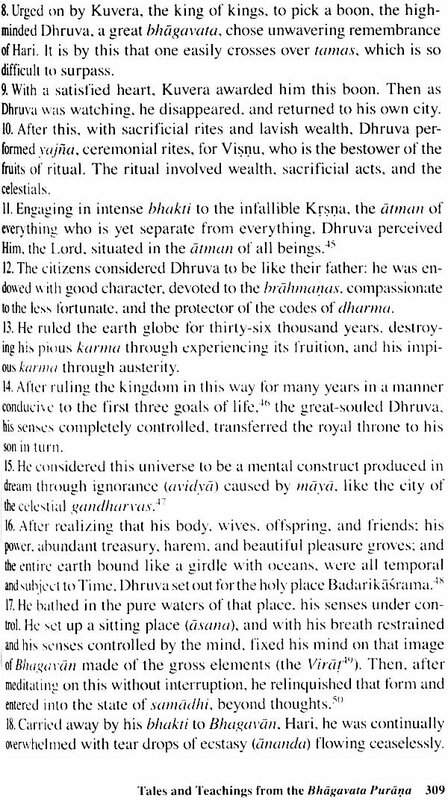 "3 In addition to the text itself, the systematic analysis of bhakti yoga, which will occupy the bulk of part 1, will to a great extent be from the perspective of the commentaries and elaborations on the Bhagavata Purana written by the sixteenth-century theologians Java Goswami and his uncle Ripa Goswami, two of the founding fathers of the Gaucliya school of Vaisnavism (also known as Caitanya Vaisnavism).4 We will introduce these sources below. While we will engage a wide variety of other intellectual and theological expressions in India both prior and contemporary to the sixteenth century, our motive will be to compare and contrast these with our chosen case study. We thus prioritize premier traditional sources in this volume (but we have included references to select academic studies in notes). Our hope is that this focus affords an opportunity to glimpse one ill facet of the traditional Hindu universe of bhakti in India as expressed s- in a very important classical texts and a major commentarial tradition prior to its encounter with modernity in the colonial period. Our aim is for scholars and students of religion to gain some under-standing of the worldview and principal beliefs of the Krsna bhakta practitioner of this tradition, and for intellectually responsible yoga r- practitioners to get a better sense of the premodern rationale of a form of bhakti as a very specific type of yoga practice. As a result of e our chosen focus, in addition to engaging an important bhakti text, by an exposure to a traditional mode of understanding, interpreting, n and reworking sacred scripture (hermeneutics), via Jiva and commentarial writings and interpretations of the Bhagavata, we will explore how an elaborate and sophisticated bhakti tradition sets about gaining authenticity for its teachings. 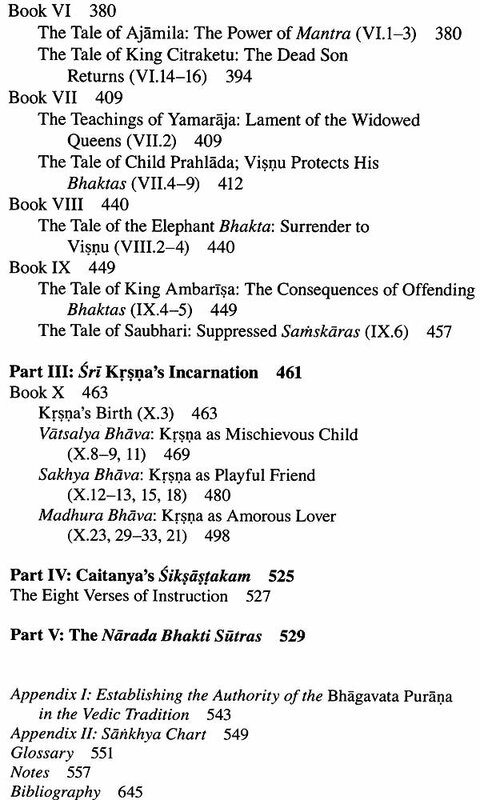 Foundational texts such as the Bhagavata in ancient India are almost always studied through the 1 lineage-based commentaries that are written to clarify them, as well as to establish a sect's theological credentials.